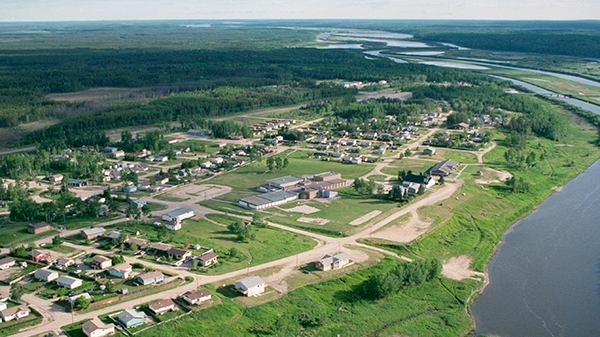 Beauval is a small community located approximately 400 km northwest of Saskatoon. Year-round ground access is available via highway 165 which runs through the community. Eight km west, it joins highway 155. Highway 918, three km east, leads north to Patuanak. The community is also serviced by the Beauval airport, located about 7 km southwest. The nearest Cameco facility is our Key Lake operation, more than 250 km northeast. Most of the 750 people living in the Beauval are proud descendants of Métis and Cree trappers and fishers. Beauval is located on the hills overlooking the lovely Beaver River Valley, hence the name “beautiful valley.” The river offers world class pickerel fishing and the nearby lakes have an abundance of trout and northern pike. The main industries for the community are commercial fishing, eco-tourism and mining. In the early 20th century, the community was established as a Roman Catholic mission and a transportation centre. In 1910, Alexander Laliberte opened a fur trading store to serve the local trappers which became an outpost. Beauval was the home to an Indian residential school that opened in 1895. It closed in 1983 and became the Meadow Lake Tribal Council’s Beauval Indian Education Centre up until 1995. It has since been demolished but a memorial remains on the site in memory of the 19 children tragically killed in a fire at the school in 1927. 50 people also died in 1936 at the school in an epidemic of influenza and measles. Today, approximately 320 students attend K-12 at the modern Valley View School.